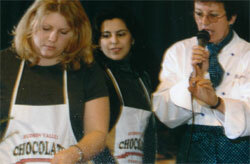 Chef Blažena is an internationally experienced and accomplished chef, caterer and innovative instructor. She and her staff will expertly cater your event, so you can enjoy the company of your friends and be guest at your own party. 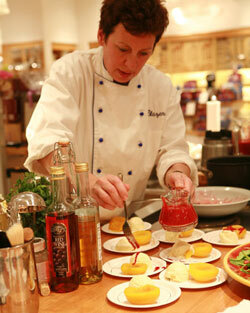 Born to the hospitality business in Europe, Chef Blažena is a natural in the kitchen. She further acquired and broadened her knowledge and creative skills living throughout Europe, Mexico and United States. Always fascinated by local cuisines, these discoveries truly inspire her unique recipes. Chef Blažena combined her passion for food with the study of food science and holds a Culinary Arts and Food Science degrees. 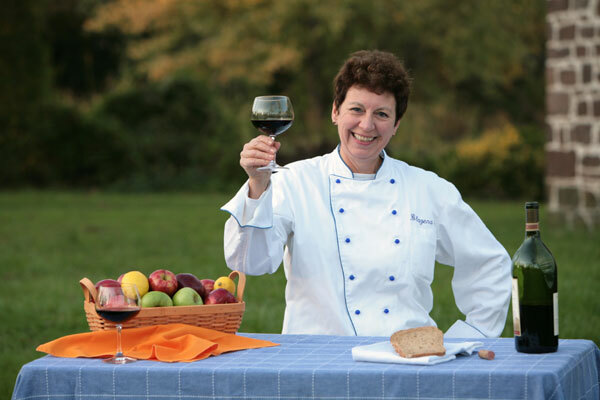 Her cooking, teaching and catering experience includes Williams Sonoma, Kings Cooking Studios, Bergen Community College, and cooking for extensive number of private and corporate clients. Blažena's gastronomic as well as unique food styling skills puma outlet bring a definite excitement and a distinctive European flair to your affair. Is trained in service and safety, professionally attired, reliable, honest, unobtrusive and attentive to details. They understand the hospitality business and project a positive and accommodating attitude. After all, it’s your celebration and we are there to make sure you and your guests have a deliciously good time. Blažena serves also as a professional consultant to the Food Industry and Restaurants, offering R&D expertise in Food Science, Culinary Arts & Technology, menus development and business optimization. She is an imaginative culinary technologist, degreed Chemist, Chemical Engineer and Research Chef with a broad spectrum of international and technical business skills. Blažena’s studied food science at Rutgers University, holds Culinary Arts degree and was trained at the Culinary Institute of America, Hyde Park, NY. She has also held positions of Senior Research Food Scientist at Kraft Foods, Inc. and Senior Product Developer-Research Chef for Kings Supermarkets, Inc.
PUBLICATIONS: Blažena's cooking tips, creative food presentations and recipes were published in Whole Foods Magazine "What's Cooking", Herald News on "Creative Food Presentation - The Wow Effect" - October 2007 and Kiwi Magazine. She gave guest lectures on Culinary Arts at Rutgers University, taught Culinary Arts at Bergen Community College Continuous Education and currently teaches cooking. Blažena is a member of Institute of Food Technologists and the Research Chef Association.